Samantha Crespo is not only a prolific travel writer but she is now a bona fide book author. Her travel guide 100 Things To Do In Memphis Before You Die is fresh off the presses and serves as her "love letter to Memphis". The city, that is. However, guess who you'll find at #1 on her bucket list? Memphis Jones! Samantha shared why she chose to start her travel guide for locals and tourists alike with a Memphis Jones performance. "I just love when he says "Welcome Home, Music Lover!" to open his show and I thought it was the perfect beginning to my book." 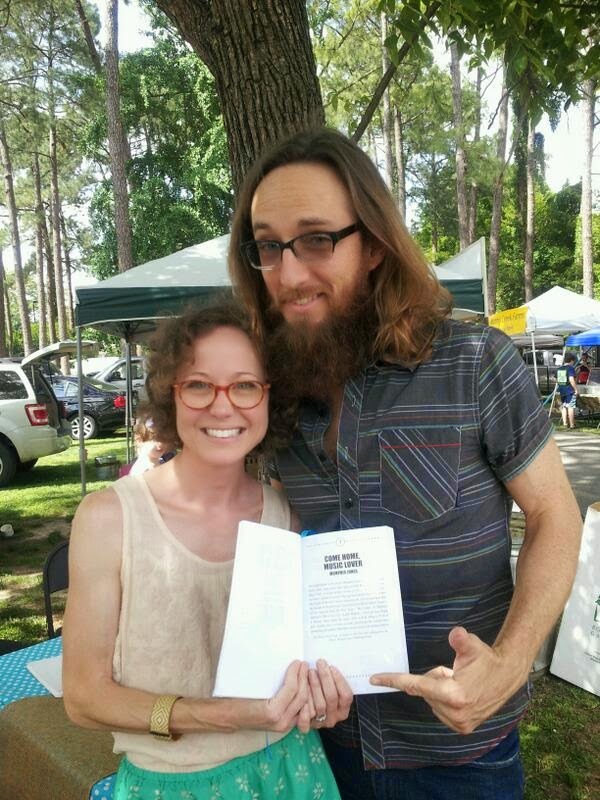 Recently, Memphis caught up with Samantha at the Memphis Botanic Gardens Farmers Market, where she was graciously signing copies of her book for the patrons of Mama D's Italian Ice. If you are a traveling to Memphis or just waiting to bust out of the suburbs, both 100 Things To Do In Memphis Before You Die and a hibiscus mint pop are highly recommended. Wanna see what Sam and the rest are talking about? Book Memphis for your event here or see him live on Beale.